DriveSavers is the trusted leader in recovering data from Android devices, including smartphones and tablets. 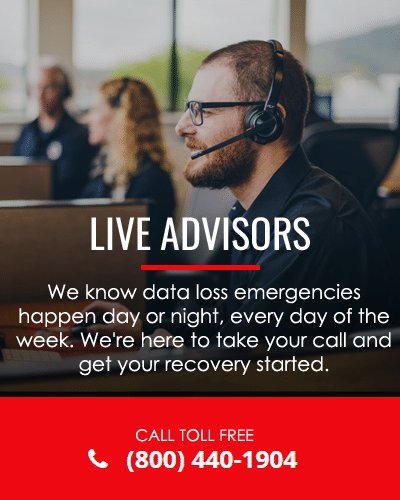 We are available 24/7 should data loss occur. Call 800.440.1904 to recover photos, videos, audio recordings, text messages, contacts, call logs, documents and more that have been deleted, destroyed or otherwise lost from your Android device, SIM card or SD card. All major manufacturers work with us to ensure that our data recovery methods meet manufacturer standards and many refer their customers to us, including Samsung, HTC, LG, Google, Sony, Motorola, ZTE, Huawei, Asus, Acer and more. DriveSavers will recover any type of media file as well as text content that was lost from your Android smartphone or tablet. DriveSavers data recovery engineers have extensive experience performing data retrieval on flash memory devices that have suffered common and catastrophic data loss and can recover data from any Android device that has failed electronically or is physically damaged. DriveSavers is the only data recovery company in the world that is inspected annually and meets the criteria for an annual SSAE 18 SOC 2 Type II security audit, the corporate industry’s standard for an overall control structure. DriveSavers professional data recovery advisors are standing by to take your call. Estimates can be provided instantly for all Android devices. Data recovery quotes include all parts and service fees. There are no upfront charges and no hidden costs—ever! The cost of your data recovery will never exceed the maximum amount that we quote. Contact us at 800.440.1904 for a free evaluation and quote. Note: Please stop using your Android phone or tablet and call DriveSavers as soon as possible after finding you have lost your data.